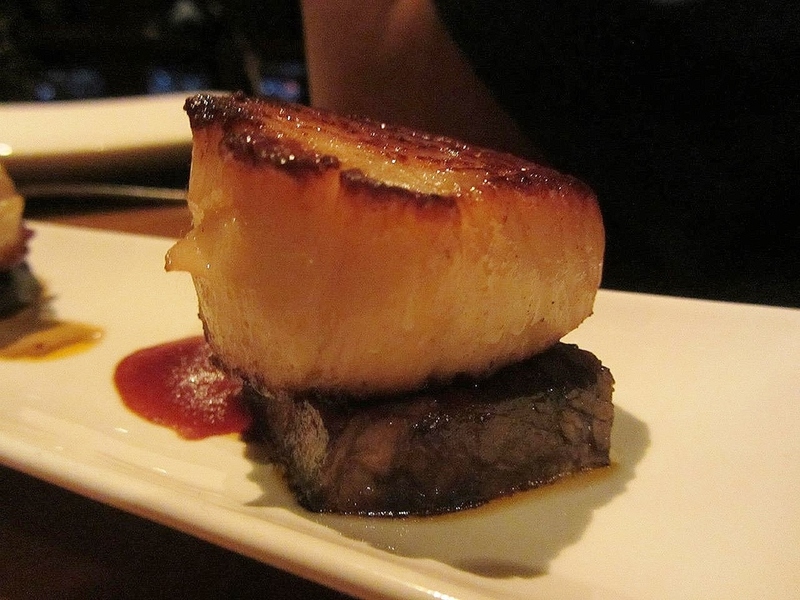 We first met Chef Honorio Mecinas when he teamed up with his brother Chef Mel Mecinas, Executive Chef at the Four Seasons in Scottsdale, for a special event. 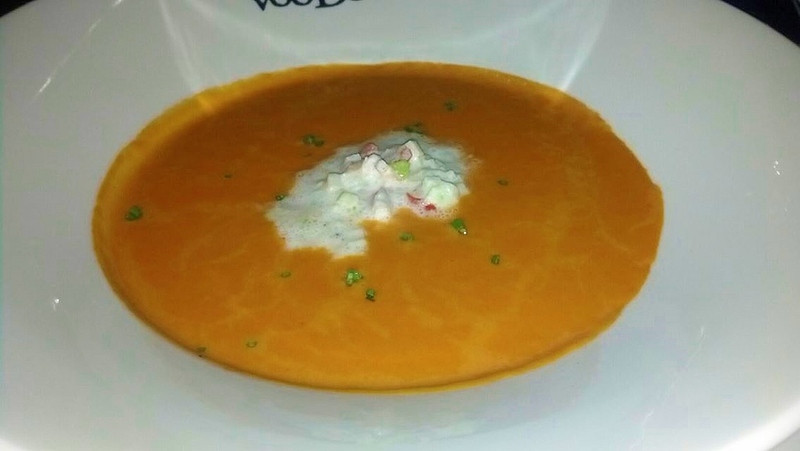 On our next trip to Las Vegas, reservations at Voodoo Steak, where he is Chef de Cuisine, were a must. Since that very first visit, we've returned again and again. We've taken close friends, treated my parents, and hosted a fantastic wedding dinner for my stepdaughter and son-in-law, and had great service, and wine pairings from Sam. On our most recent visit last week, we were a group of 8, including my best friends from Massachusetts, and everyone raved. Voodoo Steak and Chef Honorio never disappoint. Oyster with mignonette, sake-cured salmon with quail egg and caviar, and scallop crudo with uni. Lump crab with blood orange vinaigrette and compressed watermelon. 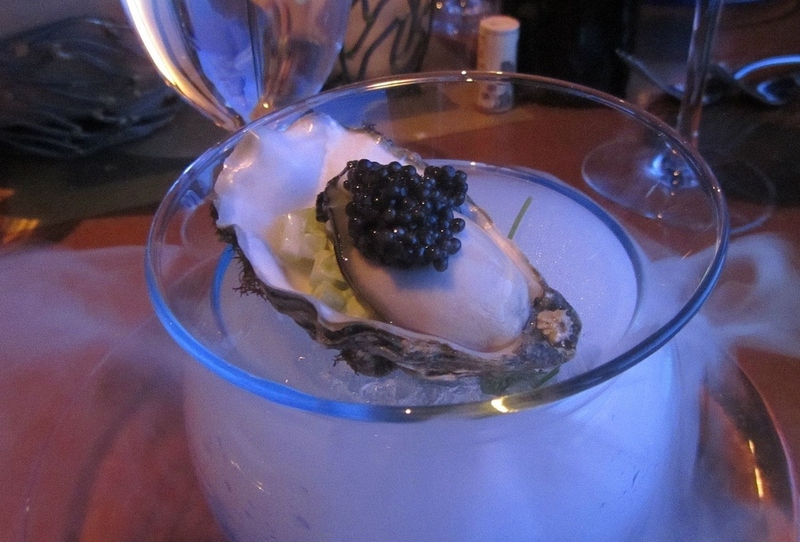 Fanny Bay oysters with caviar, yuzu, and celery relish. Crispy frog legs with Japanese prawns, Spanish chorizo, and sauvignon blanc buerre blanc. Malaspina oyster with Golden Ossetra caviar and red wine mignonette. 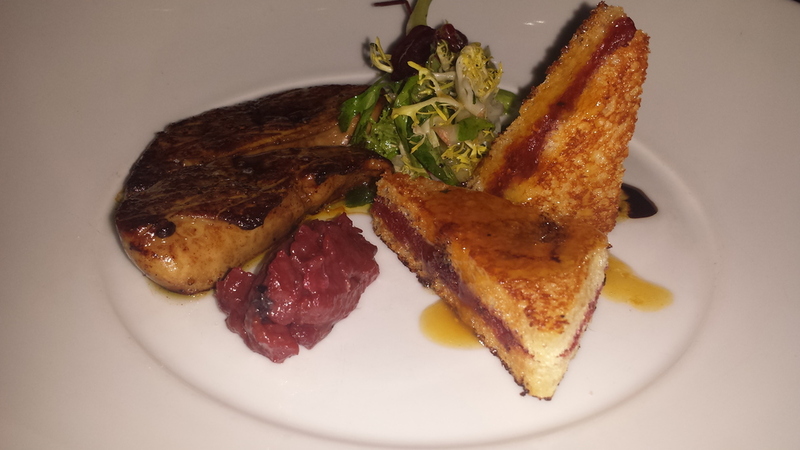 Seared foie gras with fruit compote and stuffed French toast. Steak tartare with black truffle aioli and quail egg with brioche. Cheese and charcuterie course. Morbier cheese, black truffle salami, caramelized apple, white watermelon-mustard jelly. Citrus vodka-sake cured salmon with caper berries, radish, and deviled eggs with bacon and Osetra caviar. 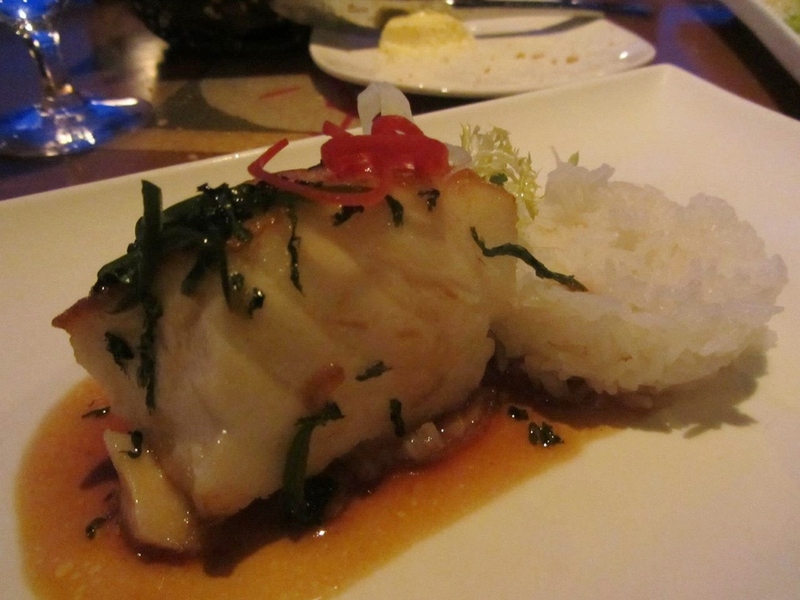 seabass glazed with soy and lemongrass with jasmine rice. 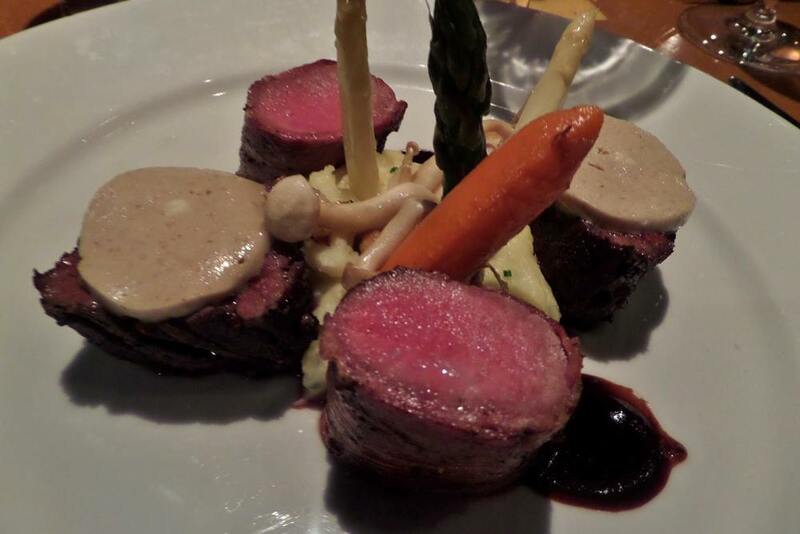 Hanger steak with foie gras butter + pancetta-wrapped lamb loin, with potato puree, white asparagus, enoki mushrooms, red wine reduction sauce. Las Vegas in April 2014 - Bartolotta, Society Cafe, CraftSteak and Mon Ami Gabi.